As most will know all standard bus routes have to be registered with VOSA (or whatever they are called this week). These registrations change over time all of which are recorded in Notices & Proceedings. 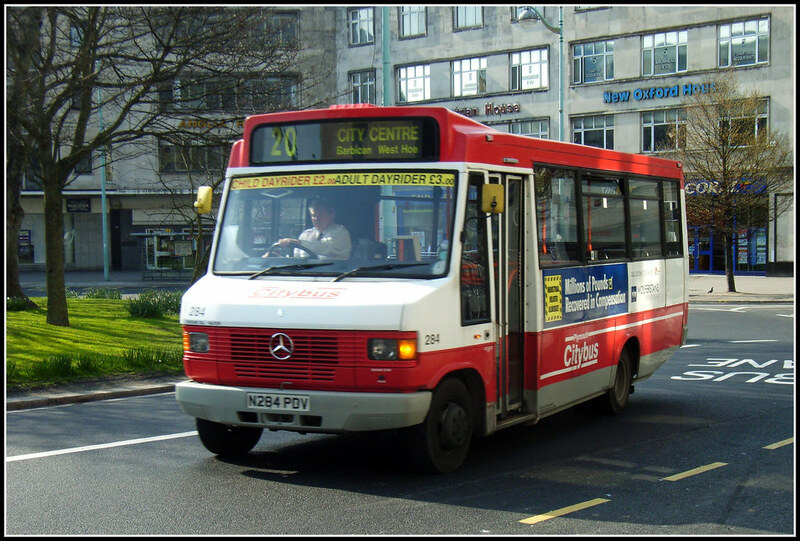 As part of an on-going project to look at all bus routes in Devon & Cornwall I am slowly going back through the documents to chart all of these changes – not an easy or quick project by any means! I am currently looking at all the Plymouth Citybus registrations in order starting with 1. The very latest route registered is number 173 which give you an idea of the work involved. Service 20 there is to be a change of route for daytime services with some changes to times. Service 20 will no longer operate to the City centre via North Road East. Instead the service is to operate via Charles Street to Royal Parade with most journeys extended to start and terminate Rail Station Forecourt via operating Western Approach. Funding for the Service 20A has been withdrawn therefore from the 5th July evening Service 20A Monday to Saturday is to be replaced with Service 20. Daytime Sunday and Bank Holiday service 20A replaced with Service 20. Evening Sunday services are to be withdrawn. We are confident that the changes to the service 20 will see increased passenger use. It won’t be enough to cover the loss of funding for the Service 20A hence the changes being made, and the loss of services to Steer Park. 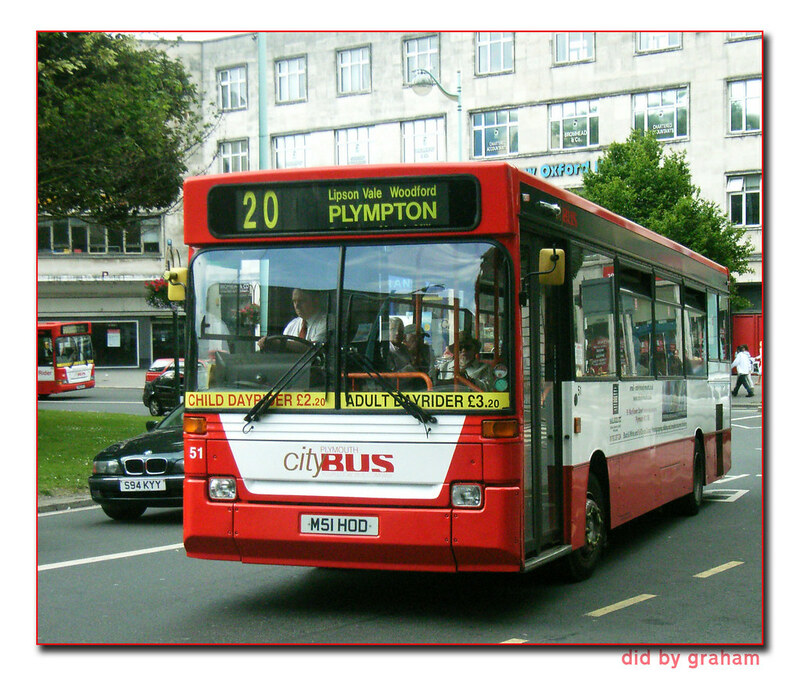 Commercial operation by Plymouth Citybus. 6 June 2010 Service deregistered. THE new boss of Citybus has denied claims he is cutting Plympton's bus services. Labour parliamentary candidate Luke Pollard said new bus timetables planned for later in the year amounted to cuts in the newly privatised service. Andrew Wickham, managing director of Citybus, which was sold to Go-Ahead last year, said he was increasing the frequency of services and employing ten new drivers for Plympton. 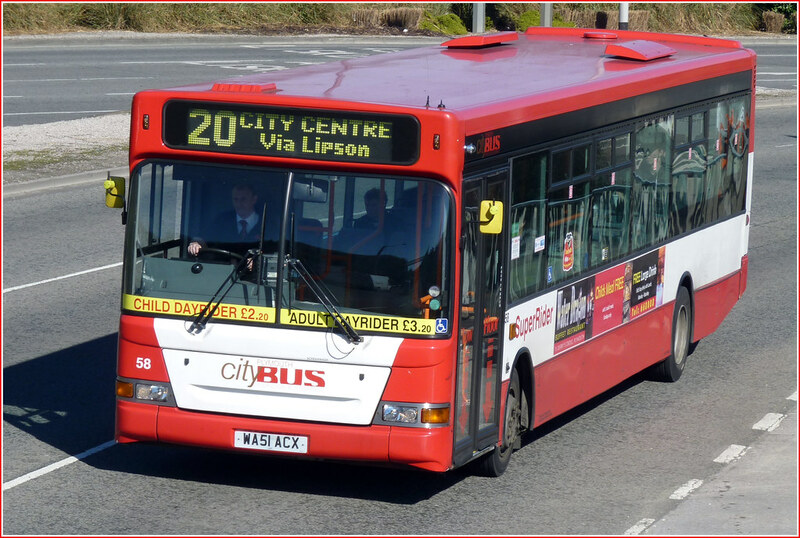 Mr Pollard, the candidate for the South West Devon parliamentary seat, said: "Citybus is re-zoning one area at a time so we can expect similar changes across the city. "Some areas, especially Woodford, will lose their services and some services will take longer. What happens to Plympton will happen to the rest of the city. "The council promised when it sold Citybus that there would be no cuts to routes for six months. These changes will come in just after the six-month period.